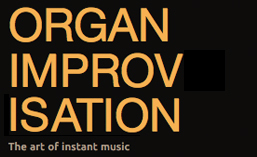 Develop one facet of improvisation at a time. Create a plan of attack, experiment, and modify. Slower tempi may be needed for rhythmically complex and intricate hymns…. Consider using as few stops as possible…. Generally speaking, a pulse of silence is needed for a breath between stanzas when a hymn begins on the beat, and half a pulse of silence for a breath between stanzas when a hymn begins with an anacrusis. Part Two moves on to using the hymnal and becoming comfortable playing and using the material provided on the printed page. A series of very simple steps is outlined and illustrated using the tune Winchester Old. Part three outlines a process for beginning hymn-based improvisations and then works through examples using the tunes O Filii et Filiae, Erhalt Uns, Herr, and Holy Manna. The last portion of part three is a set of variations on O Filii et Filiae with all the techniques of part three explained and labeled. Like part two, these steps are very simple and seem like they would be easily managed by a student with minimal music theory instruction. The final part, providing almost half of the page count for the book, is filled with examples of hymn treatments with the forms and techniques identified in a box at the top of the piece. In addition to providing repertoire that the student could play, these examples show how simple the application of the techniques outlined in this book can be. 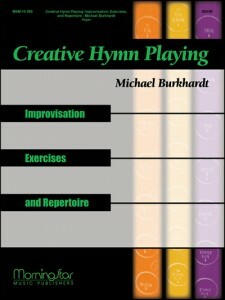 Creative Hymn Playing: Improvisation, Exercises, and Repertoire gives clear and concise instructions with many examples on how to transform and create pieces based upon hymns. While the material is simple, it provides a solid foundation for further studies. It would be a great volume to work through before tackling Improvising: How to Master the Art by Gerre Hancock. Posted in Book. Tagged Book, Examples, Gerre Hancock, hymn, Jeffrey Brillhart, Method, Michael Burkhardt, MorningStar Music, Review.